As the 3M SIBOR, based on its 90-day moving average, has risen 30bps YTD, SGD customer cost of funds is likely to rise. More than a third of Singapore banks’ customer deposits in 1Q18 was in SGD: DBS 43%, OCBC 35% and UOB 44%. That said, as NIM should also expand with higher lending yields, this can help offset higher cost of funds. Remain POSITIVE on the sector, with catalysts still anticipated from NIM expansion, higher loan growth and fee income. Our top pick is UOB. 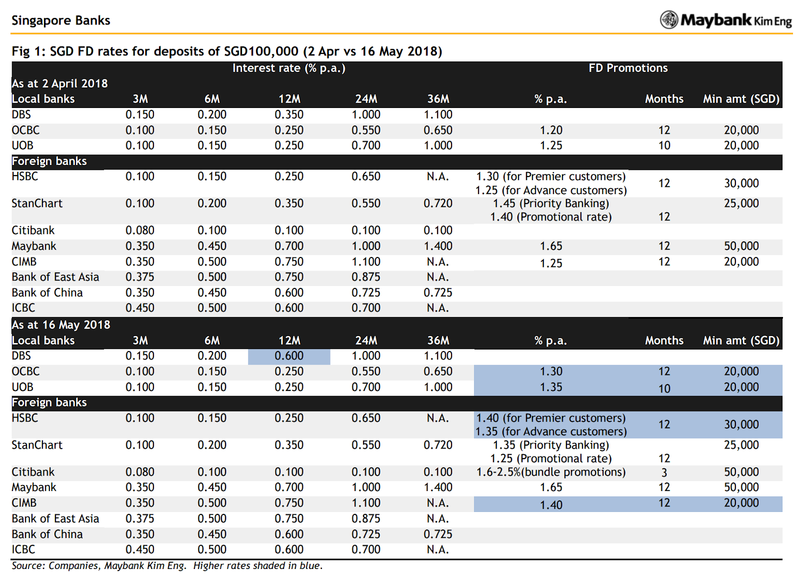 SGD fixed-deposit (FD) rates have risen 10-25bps since April for major local and foreign banks. OCBC and UOB raised their promotional rates while DBS raised its 9-12-month rates by 25-35bps. UOB from 36% to 46%. 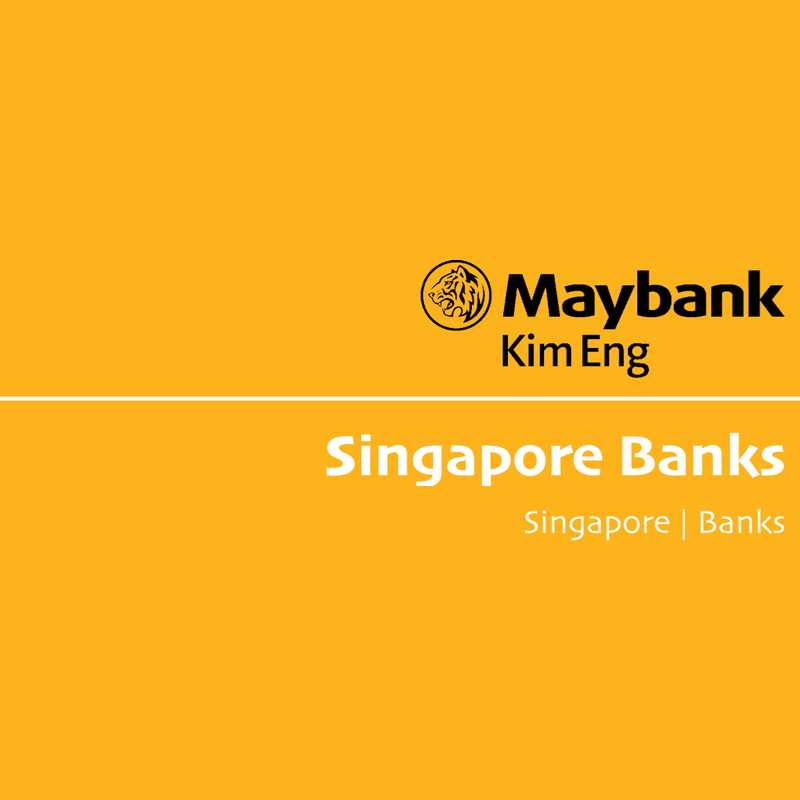 Local banks continue to pay for current deposits as they bundle or cross-sell them with other products such as credit cards (see UOB One, OCBC 360, DBS Multiplier). SGD loan-deposit ratio is the highest for UOB, at 95% vs peers’ 86-88% and the system’s 86%, based on our estimation. With higher loan demand, banks are likely to price more aggressively to compete for deposits. That said, we think banks have scope to improve their liability management. Despite higher rates, the banks’ customer cost of funds has not climbed as much. Between 1Q15 and 1Q18, the banks’ customer cost of funds rose by 5-16bps, in contrast to the increase in SIBOR/LIBOR by 63/166bps. For OCBC and UOB, the spread between SIBOR and customer cost of funds turned positive to 2-6bps in 1Q18.